Alpha-Zeta Chapter of Sigma Alpha Epsilon at Penn State - Last Chance to be Added to the 2015-16 Honor Roll! At the beginning of this annual fund giving year, which began on September 1, 2015, we set a goal to receive $17,500 from 120 donors. So far, with less than a month left in our giving year, we are roughly 41% of the way to our goal with $8,982.20 from 50 donors. We can do better! As we look forward to our 2016-2017 giving year, let’s show everyone why we are one of the premier fraternities at Penn State by supporting the active Brothers! This is the last month to make a donation to the 2015-16 annual fund and have your name added to the Honor Roll. Please consider making your donation today. Here are four reasons why you should give back to PA Alpha Zeta Chapter Chapter. 1. Pride in 200 E. Beaver Ave.—It’s a structure that has seen hundreds of young men come of age and is a beautiful, comfortable space for our brothers to study and live in. Its walls hold thousands of memories and it deserves top-of-the-line care. 2. Homecoming—These were some of the best years of our lives, so come back and relive them! Don’t miss this weekend, including tailgates, sporting events and reconnecting with your brothers on October 8! 3. 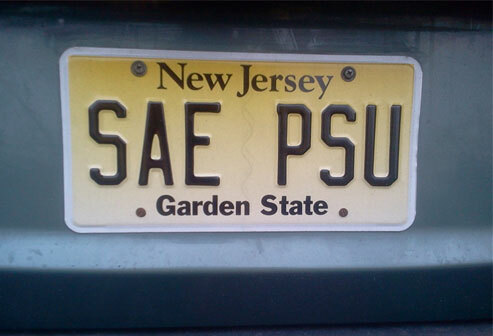 Get All of the Latest News—SAE isn’t just for our college years, it’s a part of you forever. It’s family. Staying connected is very important, and so easy to do with our alumni website, eLetters and newsletters coming straight to your door. All you need to do is keep your contact information up-to-date. 4. Alumni Guidance—The young men initiated into PA Alpha Zeta Chapter are often under 20 years of age. During our years as active members, there was reassurance in knowing that alumni were there for us. Now, as alumni, we understand we cannot ask a lifetime of experience from young men who are just now learning what leadership truly means. We must show them, as our brothers before us showed us.